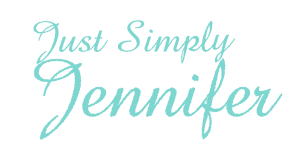 10 Years Ago Today… | Just Simply Jennifer! Memory lane is sometimes fun. This day is probably in the my top 10 of funniest days of my life. I don’t know what I did all day 10 years ago, but at about super time. I went to Adam’s house unannounced. We had known each other since we were kids, we rode the same school bus and lived about a mile from each other as kids. I had moved though and he was still at the same place. So, I was here to get the answer to the burning question. “Why? ?” and I was so mad from being so sad the night before. I can be rather bitchy at times and I was planning this to be one of those times. So…I go to the door knock. I hear “Come In” although Adam swears he said “Hold On”…. so in I go. I stand there for about 30 seconds and then like lightening out of the bathroom from a shower in only tighty-whitey’s Adam goes running to his room. I think I was in complete shock as anyone would have been. I think I had to at least stood there a full minute just wondering what had just happened. After that I just started laughing. It was the funniest thing I ever saw….I am cracking up as I write this. He will never live it down nor the missed date from the night prior. Oh, I was still mad at him and he heard about it. However, you can probably say some tighty whitey’s saved our marriage before it even was though.